While the holidays are a fun time to spend with your kids, entertaining them so you can do some Santa work can be a challenge. These fun Christmas activities for kids are perfect for your children and so much fun! Can you believe that Christmas is just around the corner? With Christmas comes Christmas break! Having a game plan will take so much of the stress out of the holidays. You can actually just enjoy it and make memories with your precious children! Don’t let all the things you have to do overwhelm you this season. Make your list and don’t try to do more than you can handle. It does not have to be perfect so try not to stress. Just make precious memories with your family. 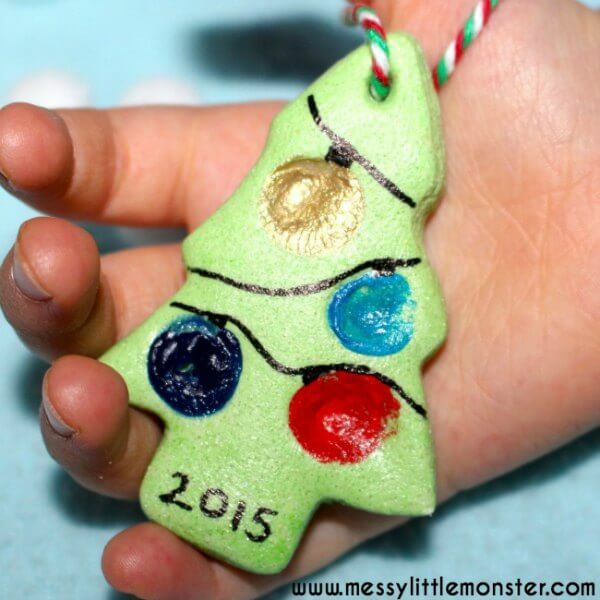 20 Christmas Activities for kids to make! These are all so fun and the kids are sure to love these festive activities. They are perfect to keep them busy but also fun for the entire family to do together. Most of these crafts use what you probably already have at home. No need to spend tons of money or time. These crafts are simple and easy. Everyone will have a blast! Each craft idea calls for various items. However, there are a few common items you might want to pick up. These items should have you off to a great start for lots of craft time this holiday season! These Christmas activities at home will be a blast during Christmas! If you help with any parties at school, many of these would be the perfect Christmas activities for school. 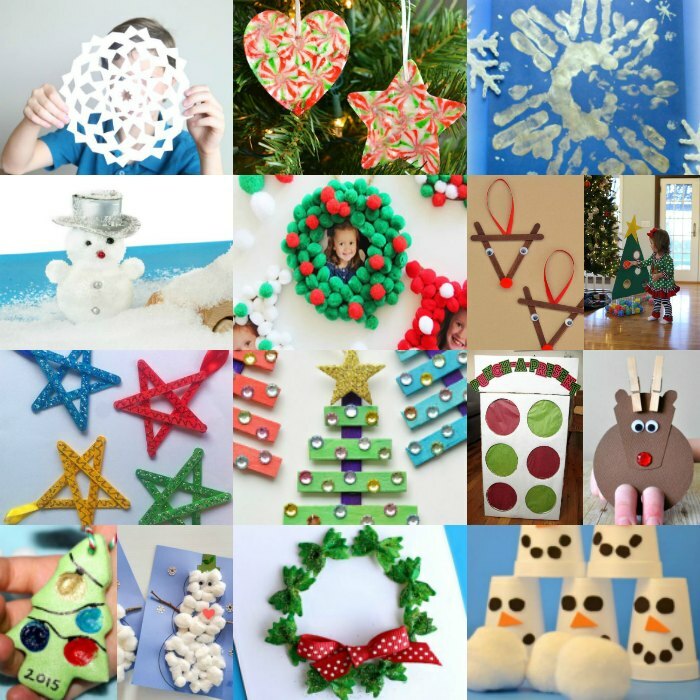 From crafts to Christmas games for kids, there are so many fun ideas. Whether you are looking for Christmas activities for preschoolers or Christmas activities for teenager, get the entire family involved! Let’s get started with these fun and traditional Christmas activities! It’s amazing what cotton balls can make! 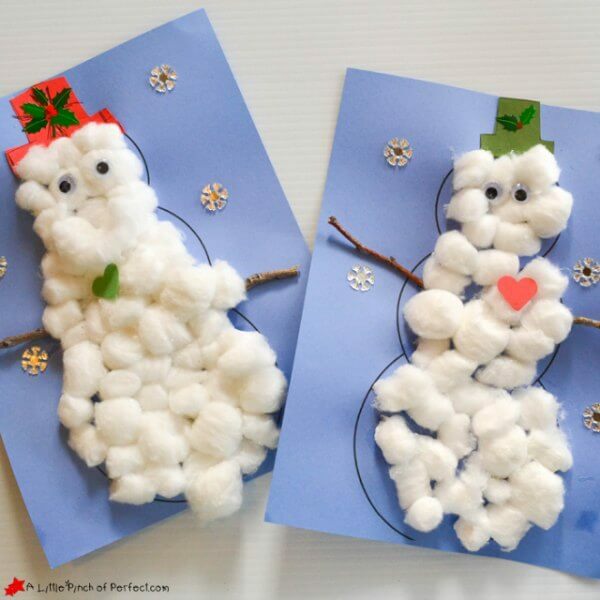 Kid’s will love making this snowman craft. 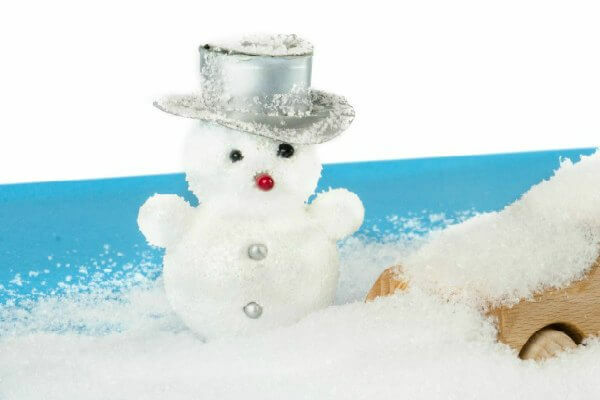 You have heard about moon dough but have you heard about snow dough? This is the perfect winter activity to keep little ones busy. Kid’s can learn about shapes and colors with this fun activity. 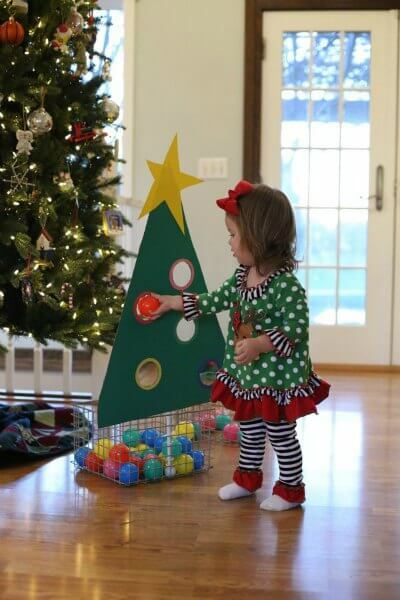 They will have so much fun with this Christmas tree shaped activity. 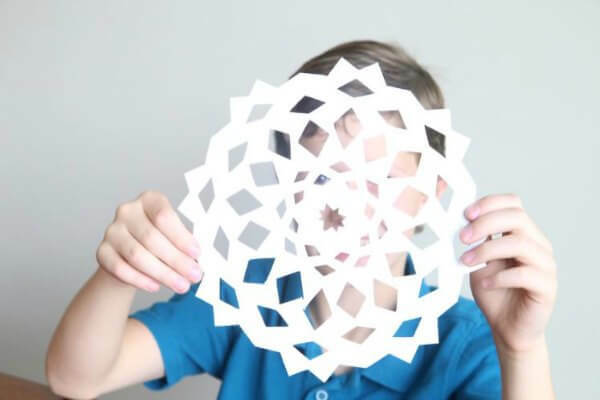 Paper snowflakes are always fun! Don’t overlook this classic winter activity. Kid’s will love it! Ornaments are such a special part of Christmas. Make them every year using this salt dough recipe. So special! 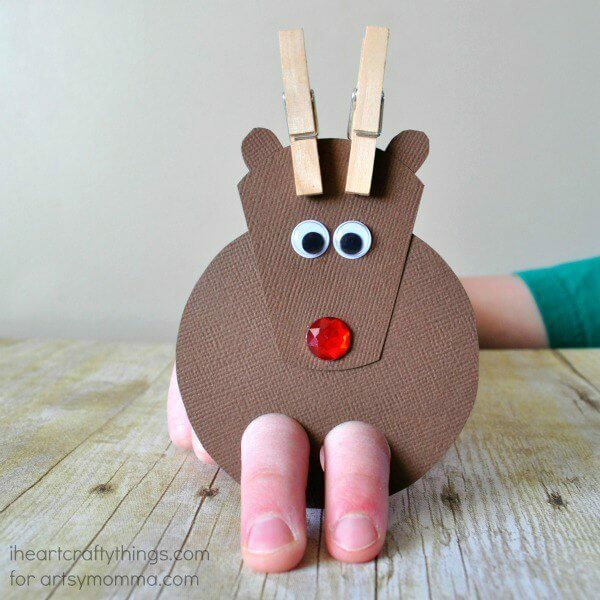 Popsicle sticks turn into really fun reindeer ornaments! This craft is simple and really fun. 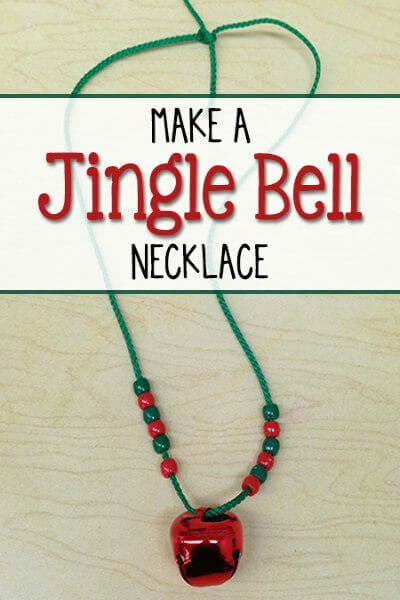 A few beads and a bell make this fantastic jingle bell necklace. Kid’s will be so festive. Pom Pom’s in a variety of Christmas colors make a gorgeous Christmas ornament. 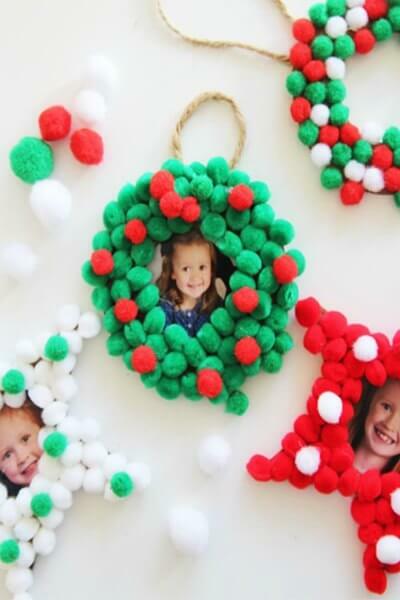 Surround your ornament with these cut pom pom’s for a little picture frame. 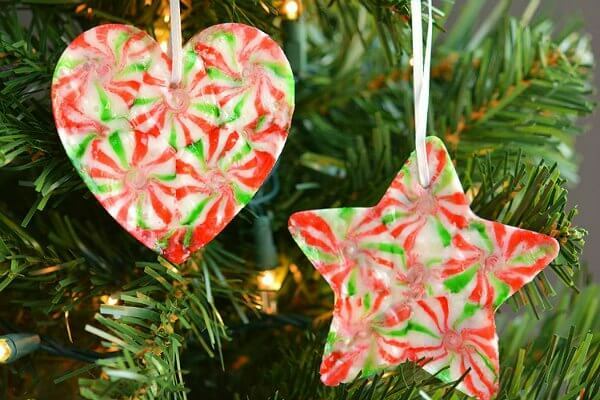 Make ornaments from peppermint candies! Once melted they make a beautiful swirl of red and green colors. If your kids like Bingo, they will like this reindeer game. It’s a Christmas version of Bingo. Dye pasta green to make a festive wreath. Tie a pretty red bow and you are set! 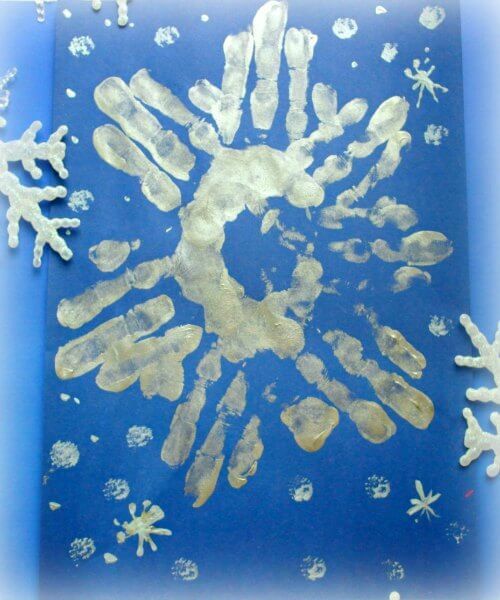 Make memories to cherish with this fun hand print craft! It will look like snow! 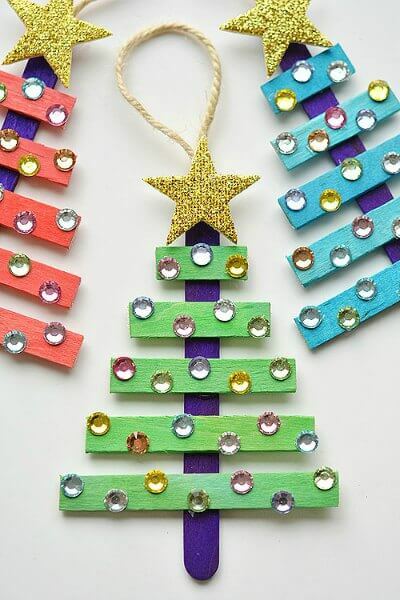 Bedazzle popsicle sticks to make a sparkling Christmas tree! 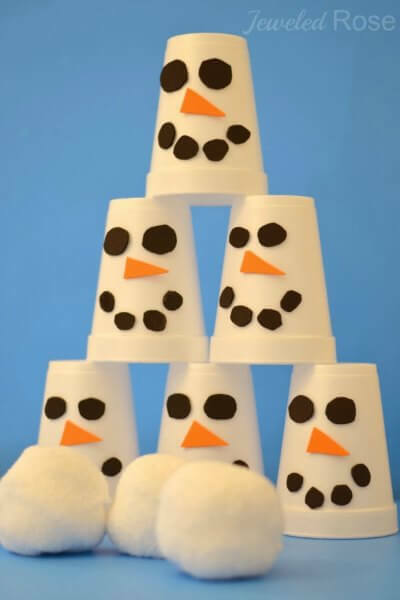 Use paper cups to make a fun game that is similar to bowling. The snowmen cups are just darling. What a good conversation starter! 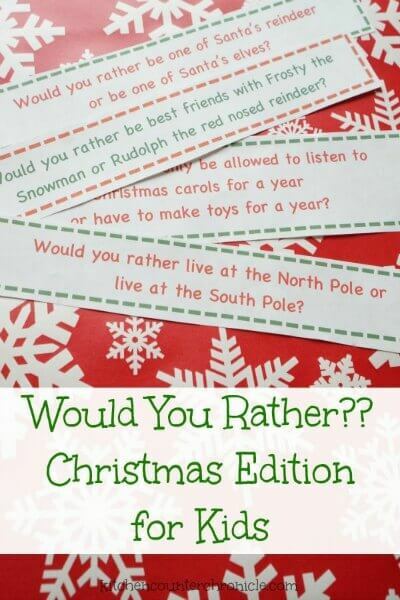 This Christmas version of Would you Rather is such a cool idea to get kids talking! 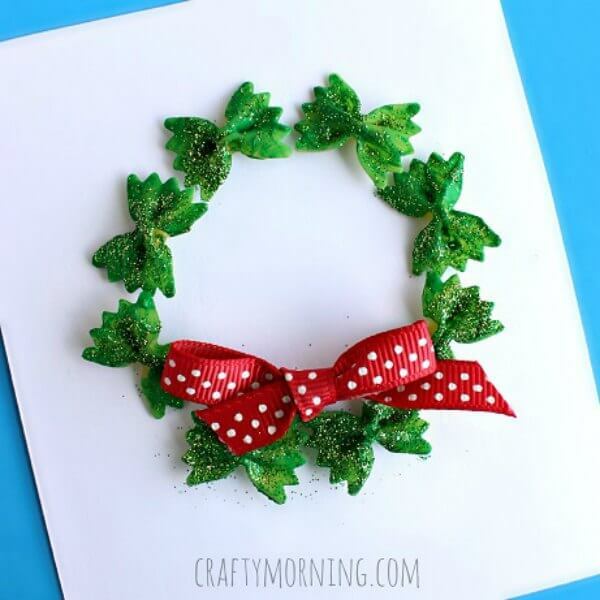 Use leftover buttons to make a Christmas wreath! I love the rustic look. 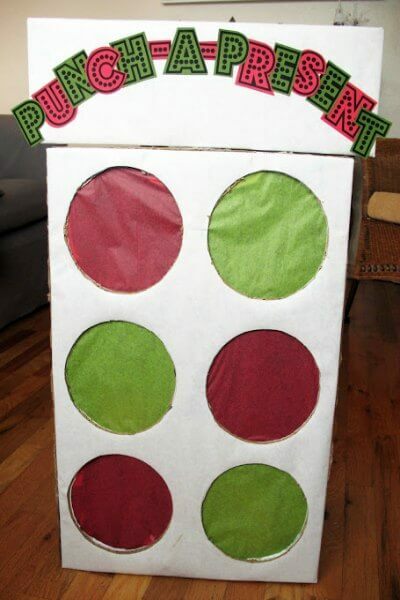 Use cardboard and different colors in the circles for this punch a present game! Kid’s will have a blast. 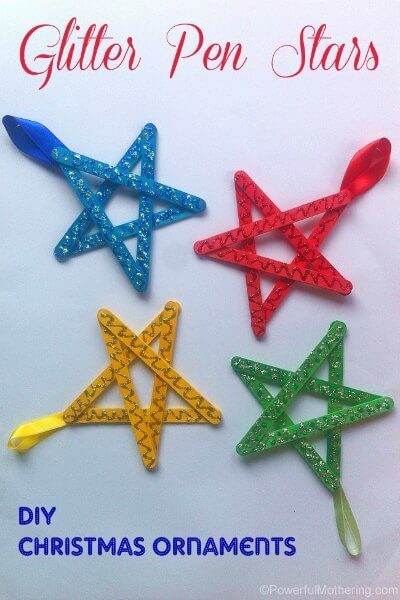 Make starts even more sparkly by using glitter pens! Let kids choose the color they want. 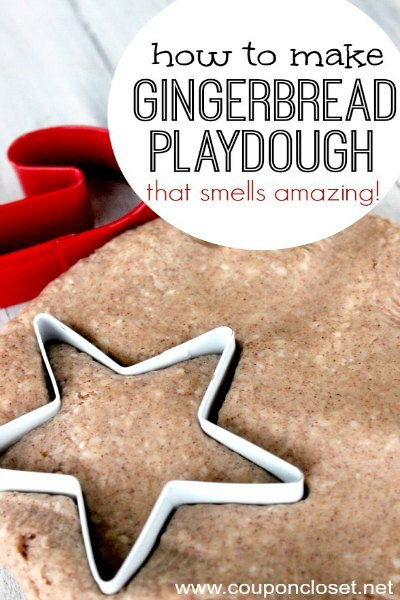 Kid’s love play dough and this gingerbread version is perfect for Christmas. Plus, it smells amazing and you can make a gingerbread house too. 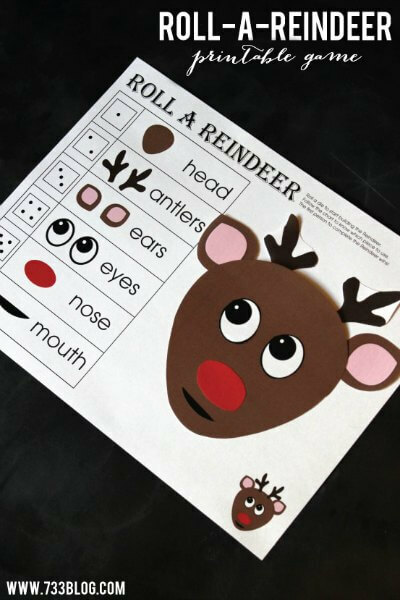 Make a finger puppet with this reindeer craft! This is precious! These Christmas activities for families will be a hit with all the children! 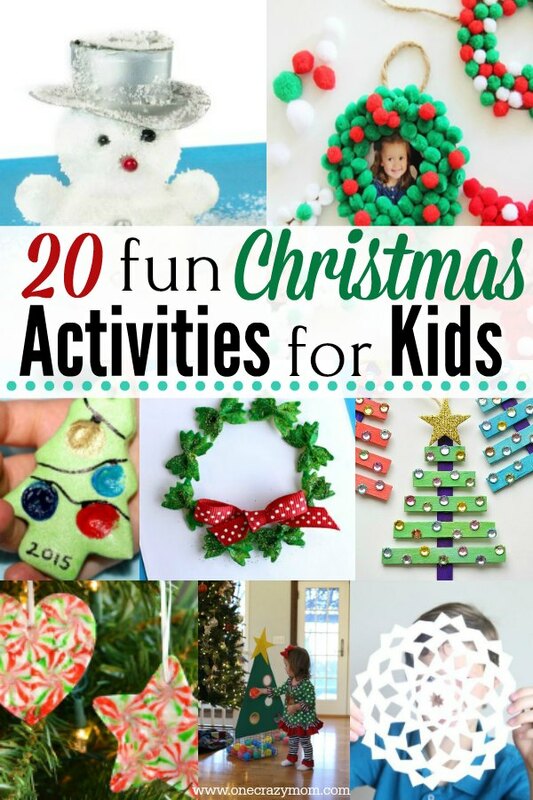 The kids won’t be bored with so many fun Christmas activities and crafts to do. You will also have lots of pretty holiday decorations to display in the house. I bet the kids will also have a blast thinking about where to put these pretty crafts. The entire family will love getting involved. Let us know how these Christmas party activities for kids turn out. 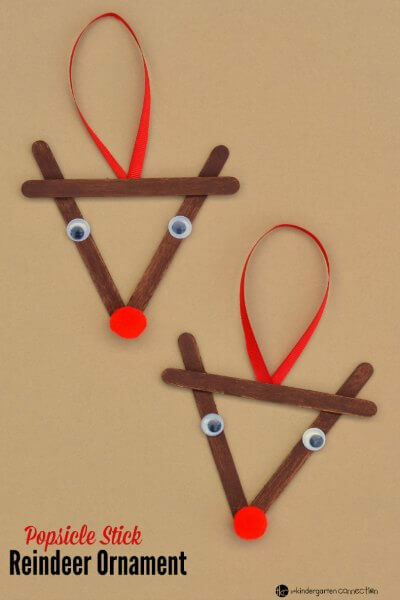 Gather friends and family this holiday season to make some of these fun crafts for kids. From a holiday party to just a fun afternoon, these Christmas crafts are the perfect activities for kids. Whether you are looking for a Christmas game or Christmas ornaments to make, these Christmas activities make such a fun holiday idea. Turn on the Christmas lights, display the Christmas cards and enjoy the holiday season! These are the things you will look back on and remember for many years to come. This Christmas, take a little time to think of others and teach children to reach out to those around them with these 20 Random Acts of Kindness Ideas for Christmas.